“One year from now we’re going to be the biggest site in the whole internet!” Mahbod Moghadam is co-founder of Rap Genius, and has great hopes for the site which explains rap lyrics. What sounds like a niche interest or fun pastime for college kids, has recently received a $15Mio. investment from the heavyweight venture capital firm Andreessen&Horowitz (a16z). Ben Horowitz, partner at a16z, is passionate about rap but foremost he’s a savvy investor in the tech business. Originally from Berkeley, he arrived in the Silicon Valley as a summer intern, many summers ago at a company called Silicon Graphics. “It was the Google of its time” says Horowitz, and gave him the bug for tech start-up’s. Later he joined the software company Netscape where he met his partner Marc Andreessen. Together they went on a bumpy ride to found and run the software company Loudcloud in 1999, which according to Ben was “too early. And cost me a lot of crying.” But they battled on, and turned Loudcloud into Opsware which was bought by HP for $1.6Billion in 2007. The three founders of Rap Genius – Mahbod Moghadam, Tom Lehman and Ilan Zechory – got a boost of courage once their “Rap Wikipedia” was used by artists like Nas and 50 Cent. “It was like textual cocaine” says Maghbod, who’s also prophesying that Rap Genius is expanding the idea of annotating rap lyrics to “explain the world”. Besides lyrics the site already includes texts like Obama’s state of the union address, literature and poetry. The three friends from Yale intend to build sections for law, politics, science and even religious texts. The great potential, which lies in web annotations, is likely to be the most exciting by-product of Rap Genius. As Marc Andreessen wrote in a blog post, he always wanted a Web browser to have this feature for annotating the web. Annotations are knowledge about knowledge and could be the next phase of navigating our way through the internet. It’s not hard to imagine the educational and even democratizing effects of annotating abstract laws or political speeches. To achieve a level of authority and avoid the creation of noise, Rap Genius has "verified experts" annotating the texts. Before the experts joined the game though, it was all community sourced, Facebook and Twitter were the most used channels to build up a repertoire of annotations. The founders of Rap Genius know how important the community was in creating a momentum for the site. “Your average rap fan has a lot of other interests and we see people flow out from rap into whatever else they want”, said Zechory to Business Insider. Annotated text could lose its appeal if the community of users is less attached or passionate about it, than the rap crowd is about lyrics. But new technology has changed our behavior and attitudes many times before, and how we consume information is an ongoing process. This leaves us at DLD curious to find out more about where the poetry of rap can take the internet. 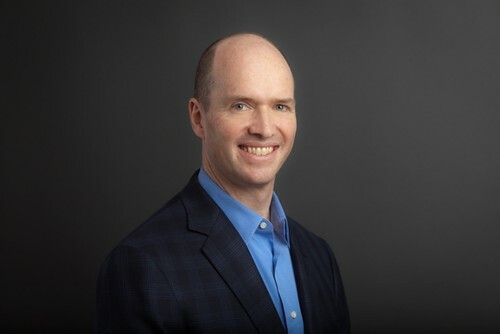 At DLD13, Ben Horowitz will be in conversation about his ideas on the potential of Rap Genius, which is likely to go beyond his love for rhythm and rhyme. DLDcampus Fireside Chat: Innovate. Start. Up!